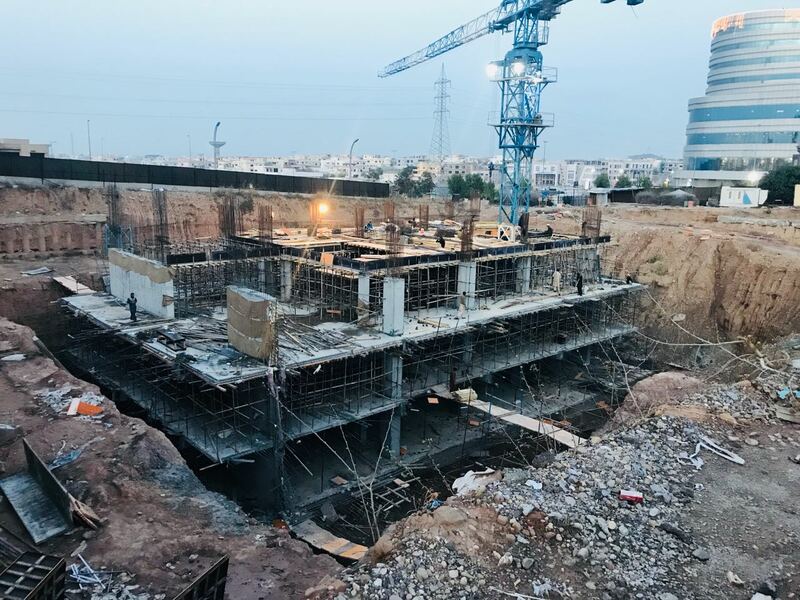 This mega development in downtown giga attracts a lot of local and international brands due to its location on main GT road adjacent to World Trade Center, and proximity to major housing schemes like Bahria Town and Zaraj Housing Scheme. This is the busiest location in town which offers a huge opportunity for investors and major brands to capitalize on. 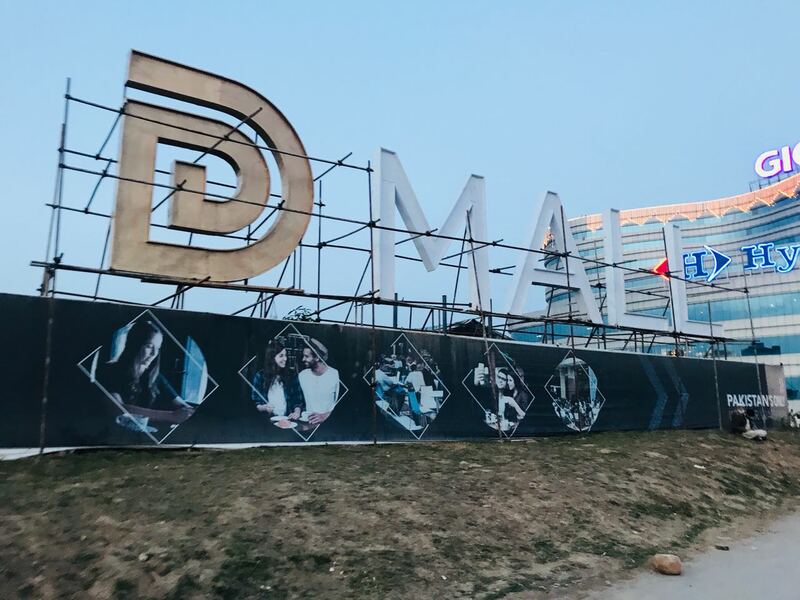 Many international brands have already entered the Giga Mall in World Trade Center, and now D Mall comes up as another lucrative option in the same neighborhood. 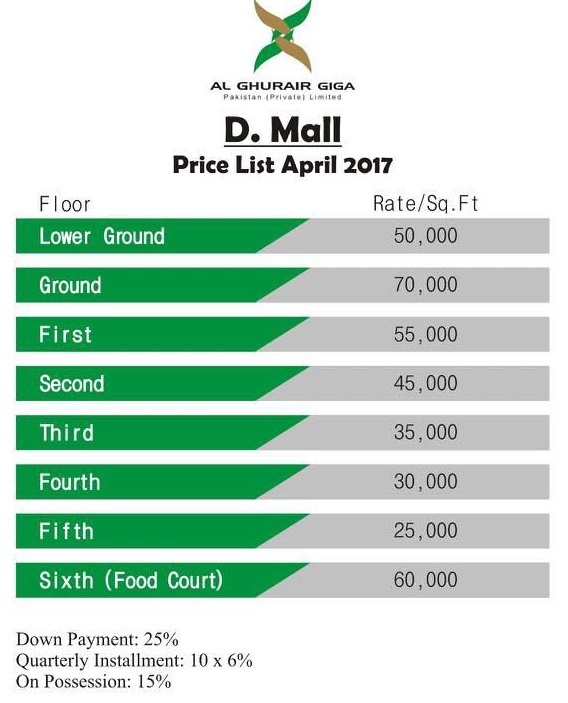 D Mall has been designed from the ground up to be a shopper’s paradise. Modern architectural design and a wide array of exclusive features create an immediate appeal for the project, which turns out to be one of the best investment opportunity today in Islamabad. D Mall offers a lucrative option for such investors who want to earn good rental income from their investments. As the project is owned by Al-Ghurair Giga, and they have already managed to establish various brands in WTC just next to D-Mall, hence you should expect much higher rental income from this investment in future. You can simply choose your shop from the available options, and calculate the price by multiplying the rate per sqft for that floor with actual size of shop. 25% amount is payable as down payment, while 60% amount will be payable through 10 quarterly installments i.e. 2.5 years installment plan. 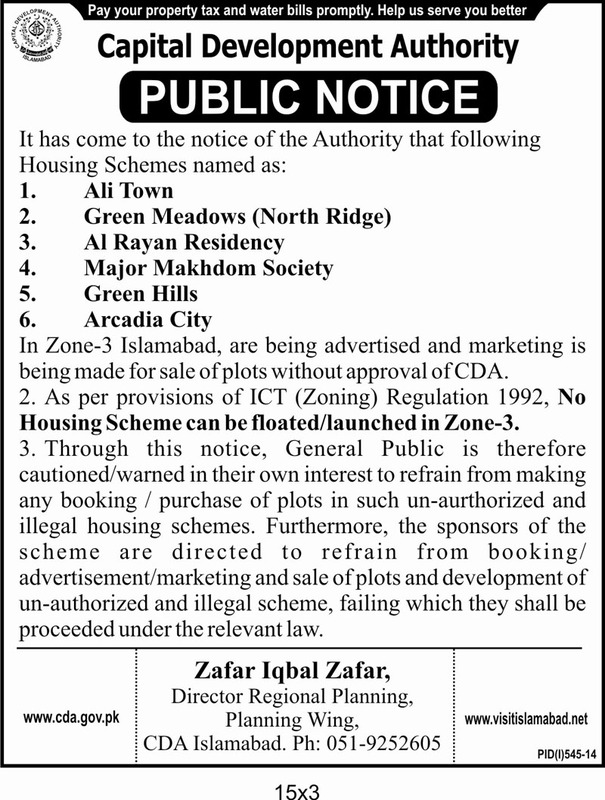 Final payment of 15% will be applicable at the time of possession. Construction work on the project has started already and the progress is admirable. Expected completion time of D Mall is by the end of 2020, so you must consider this opportunity if it falls within your budget. Should you require any further information on D Mall or you need to book your shop, feel free to leave us an email at marketing@manahilestate.com.